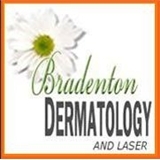 Bradenton Dermatology and Laser Center (Sun City Center) - Book Appointment Online! Bradenton Dermatology and Laser focus is on the care and importance of promoting healty skin care. Whether addressing a specific dermatologic issue or projecting a more youthfull apprearance, our team strives to assist you in acheiving the results you desire.